Ho Chi Minh City People’s Committee chairman Le Hoang Quan has called on authorities to stabilize prices of school supplies by September when the new school year will start. Speaking at a monthly meeting to review the socio-economic situation on July 26, he said the city has two million pre-school children, pupils and students, and many of them are from low-income families, therefore, the city has to focus on stabilizing prices of school items. “If prices of many goods are raised in a short time while prices of water and power have already increased, people will be put under pressure,” he added. Vice chairwoman Nguyen Thi Hong said for the 2010-2011 school year, the price-stabilization program will concentrate on notebooks, school bags and backpacks and uniforms. Textbooks and reference books, that are also major items, are not included in the program because the Vietnam Education Publishing House has affirmed that prices of these books are as same they were last year, she added. Ms. Hong said the city also has books for disadvantaged students to share. 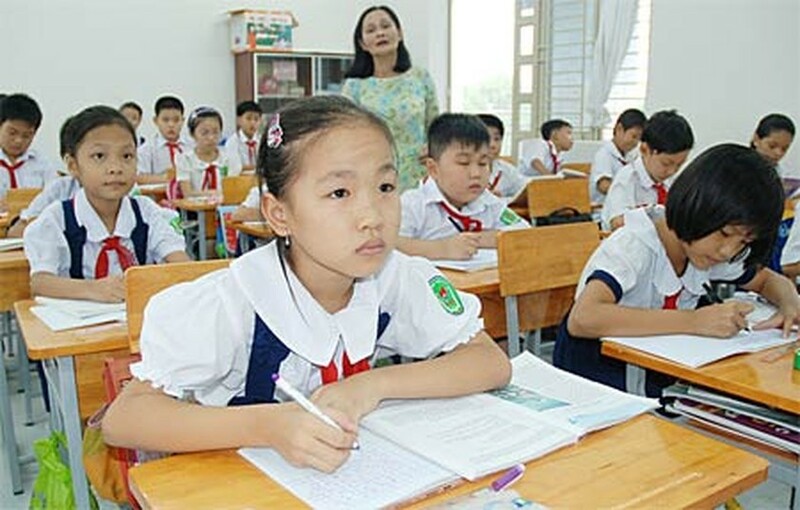 The vice chairwoman said school items subject to the price-stabilization program must have good quality, reasonable prices and stable supplies, adding that the city has spent VND34.3 billion (US$1,78 million) on the program. Prices of these items have to be 15 percent below market prices. If the market prices rise, enterprises are not allowed to raise their prices, but if the market prices drop, enterprises must reduce their prices, she added. Chairman Quan also instructed authorities to tackle hot issues relating to social welfare in the city. He asked the city Department of Information and Communications to submit its plan for handling online games that involve violence by the end of July. This issue has negative impacts on the society, so online gaming must be fully controlled, he added. The People’s Committee of District 1 was ordered to tear down soon the excessive stories from seven buildings that have exceeded approved heights. 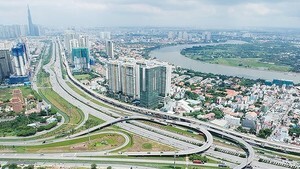 Regarding 11 houses near the Kinh Bridge in Ward 27 of Binh Thanh district that fell into the Thanh Da Canal on July 24, chairman Quan asked local authorities to check canals for possible dangerous spots so that residents may be warned, and when necessary, to organize their relocation. In the first seven months of this year, the city has achieved encouraging socio-economic results including a 0.09 percent fall in the consumer price index in July, the first decrease since 2009. Retail sales were worth VND205 trillion (US$10.7 billion), a growth of 32.1 percent from the same period last year. The city received 1.7 million visitors and saw income from tourism grow by 24 percent. Industrial production grew by nearly 14 percent. In July alone, services and retail sales are estimated to reach VND30.123 trillion (US$1.57 billion), a rise of 1.7 percent over the previous month, and a year-on-year increase of 28.6 percent.